Hello reader, Welcome to today’s post. Today is centered on Facebook. Trust me when I say there are lots of things to learn about Facebook. 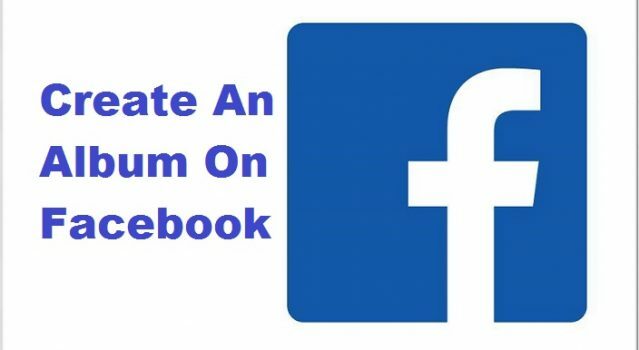 In case you missed it, last time I talked about How To Post A List On Facebook and some days ago I talked about How To Create A Poll On Facebook Timeline. As you can clearly see, Facebook has lots of amazing features that make Facebooking fun. This post, however, will be centered on teaching you how to create an album on Facebook. 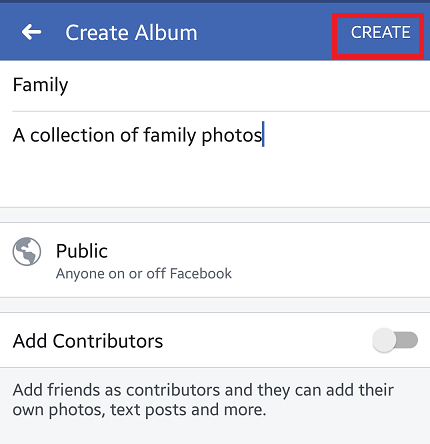 Creating an album on Facebook is easy and it’s also an excellent means of sharing memories with your friends and family. After creating an album you can always edit the album whenever you please. A single photo can only share a moment but a Facebook album can ultimately tell a story and trigger a conversation with your friends, so, from experience, I’ll advise you to create an album on Facebook. And as a good guy I have always been, I’m here to guide you on How To Create An Album On Facebook. Let’s begin with the steps. 2. Tap on ”What’s on your mind”. 4. 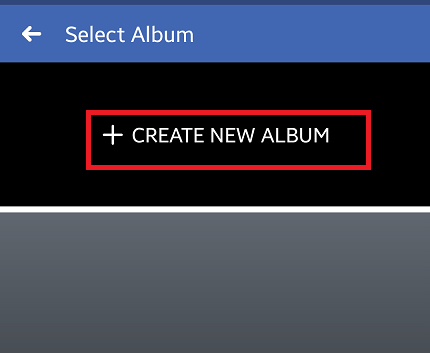 Tap on ”create new album” on the next page. 5. On the next pane give your Album a name and a description. 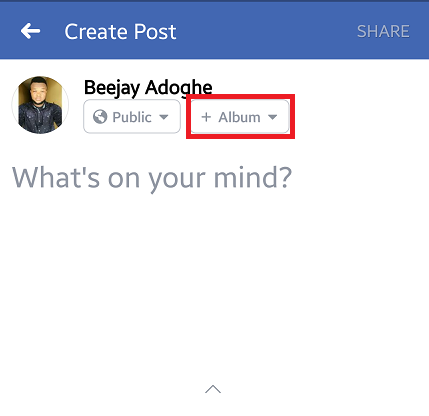 On this page, you can also set the privacy of your album. That’s not all. 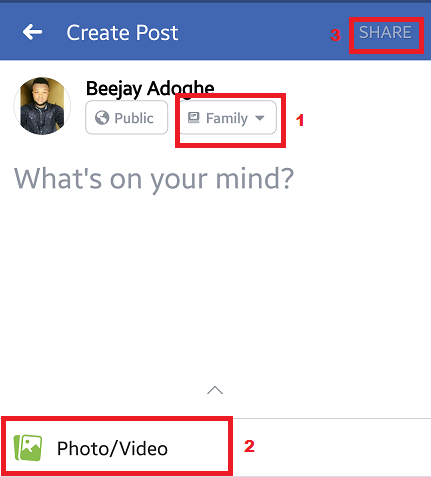 You can also Add a contributor which could be a family or friend that will be able to share or post his or her own photos to the album. 6. Tap on create after giving a name and description to your album. After creating an album, the next thing you would want to do is Add photos to the Album. Here’s how you can Add photos to your newly created Facebook album. 1. 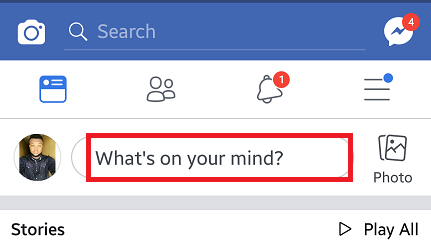 Open Facebook App and click on “What’s on your mind”. 3. Click on the photo/video icon and select a photo or photos. 4. Upload or share the photo and it will automatically be placed inside your new album. There you go, That was easy right? Now to add more juice to it, you can also tag your friends and add stickers and feeling. 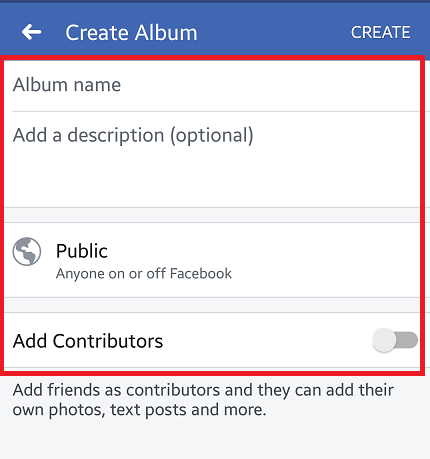 So at this point, I will say thank you for your time and for reading this post on How To Create An Album On Facebook. Don’t forget to share this article before leaving, we’d really love that. Q: How many Photos can I add to an album? A: You can add as much as you wish, there is no specific limit as to how many photos you can add or upload. Q: How do I view my Photo Album On Facebook? A: Simply Log into your Facebook account. Your albums can be located in the photos section.